Autumn is finally here! Get those snugly jumpers, chunky boots and fur scarves on ladies. 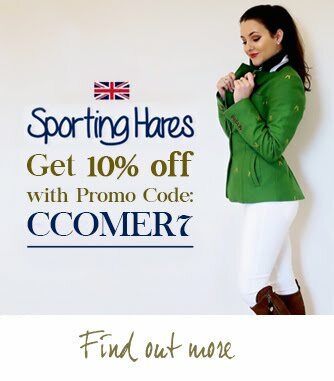 Hi guys, I have put together a selection of new season country clothing outfits perfect for autumn. Everything I have featured is now on my wishlist... So much for saving, eh! I love jumper / gilet combos. 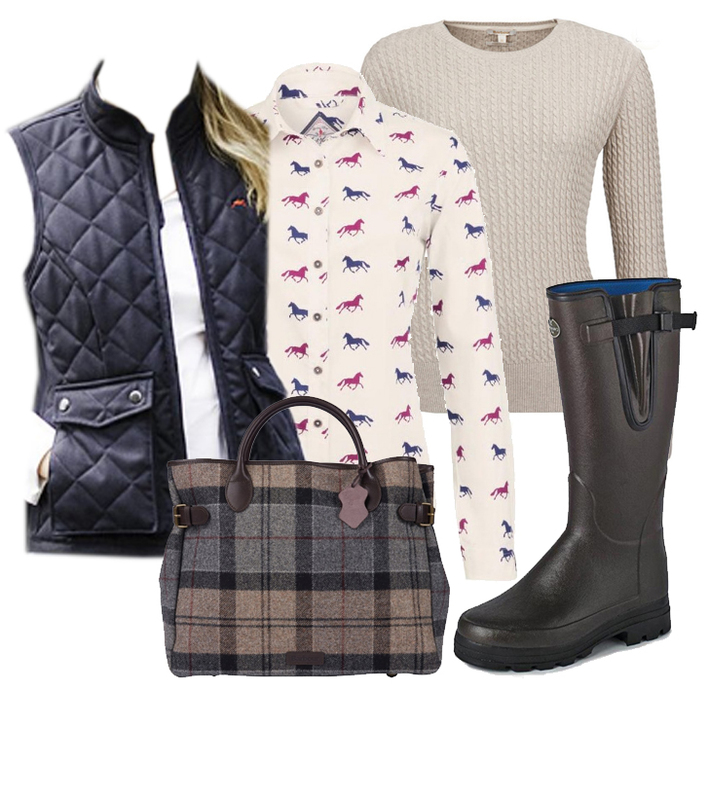 The Jack Murphy horse print shirt and Teddy Edward gilet look great together. And look... 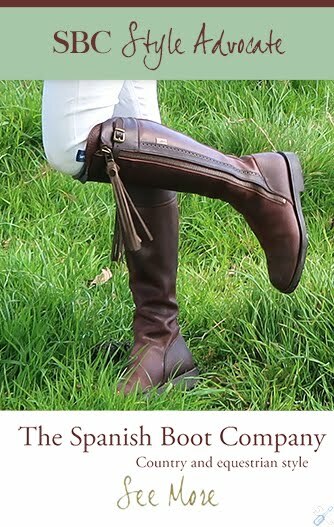 Le Chameau Vierzonords in a sleek new colour! 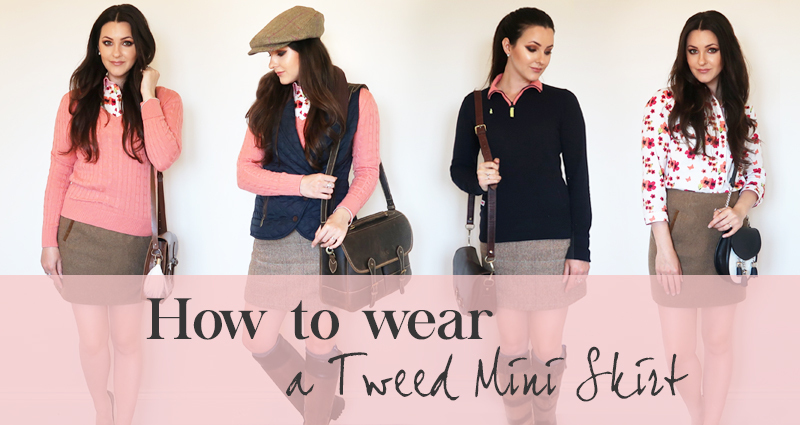 Want to look the most stylish bird in the field? 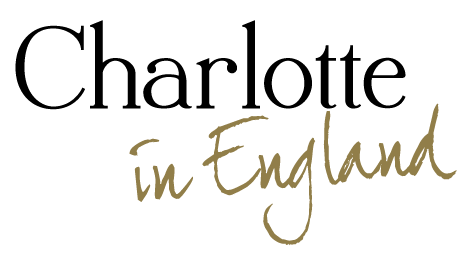 Purdey and Glorious 12th Clothing can help you there. 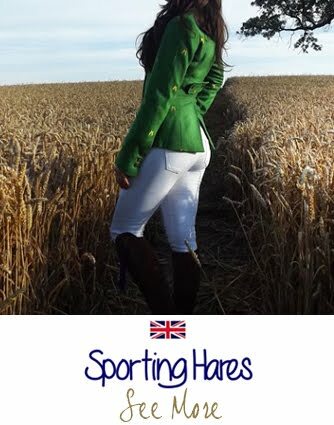 The new Glorious 12th gorse lace skirt design is stunning and that Purdey shooting gilet is just divine. 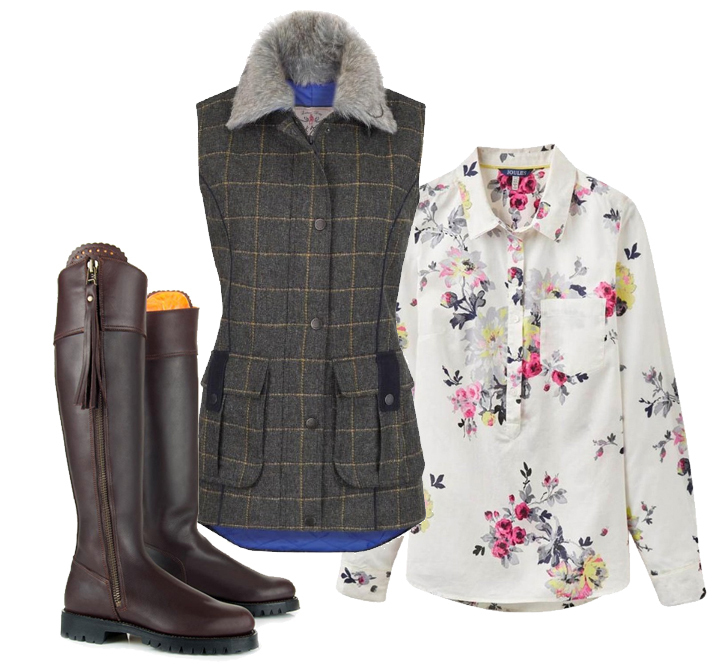 Exploring the countryside but want to look dressed to kill? 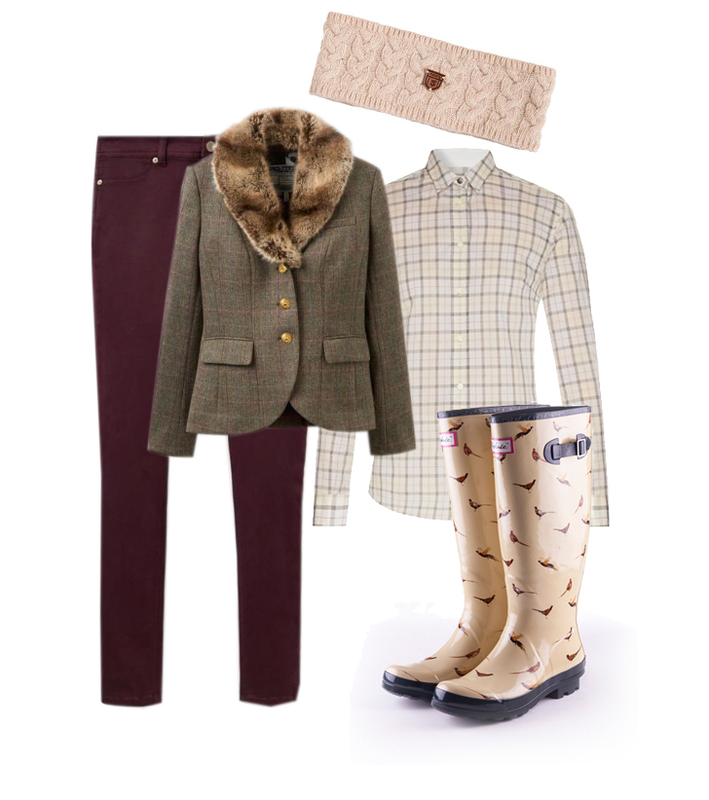 Mash it up by mixing wellies and a smart tweed blazer. The new style Dubarry headband looks lovely, it comes in a choice of different colours too. This whole outfit just oozes country-luxury. For this polished look I have chosen a neutral palette; using greys and browns. Holland Cooper and Evemy & Evemy work so well together. The fur scarf is high up on my wishlist and the cape is one of my favorite items. I hope you like what you see. Is your wardrobe Autumn ready? What's your favourite item? 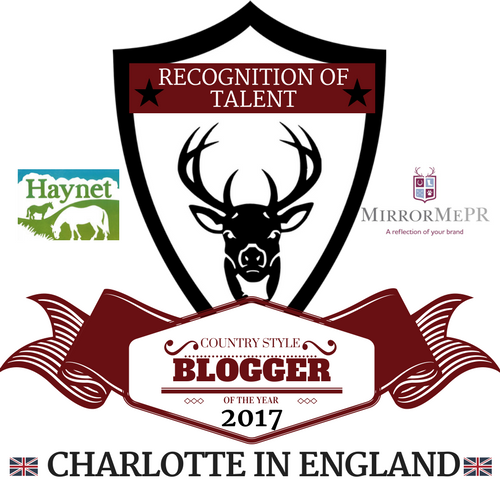 I've just discovered your blog - I love it! 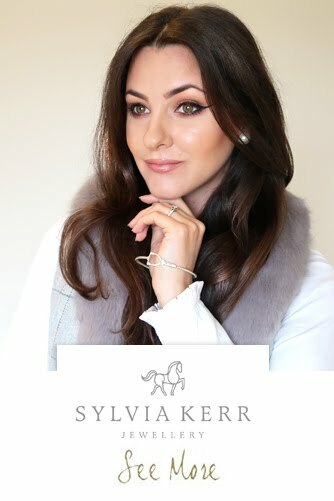 Great pieces here, autumn is the best time of year because it means I can dig out all my favourite country clothing! I especially like the F+F boots!